Get ready to be vulnerable on purpose! There you have it. An exposé of yours truly. Wants you but is not programmed to have you. So, what is the opportunity? What must I do for love? Take a risk? 08 Nov: Is the relationship stuck? What about when you see what you want, but it's not working out? What do you do then? Do you work harder, communicate louder and push for it to work? This is a weak one-dimensional reaction to an elusive goal that rarely works or is sustainable. 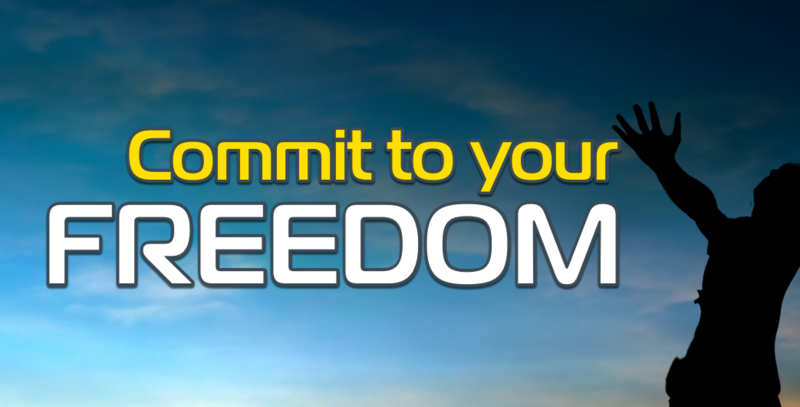 05 Nov: Can you commit to your freedom? We can go for a lifetime without committing to our freedom. To be stubborn for what matters can turn the rusted wheel. Let it grind and squeal because soon enough the bearings will allow you to glide that way. So who are you if you are not your personality? To think you are a set of assumptions that shape how you interpret and respond to situations and people is an insult to your worth and capabilities. Our personality spends so much time screening our environment to avoid potential rejection, we forget to look for opportunities to thrive. The thriving has to wait until there is a path where you are safe from all rejections. Given that path does not exist, our goals are left ignored. Mental health is more about the inner environment and the outer environment being controlled by conditioning, poor coping skills and high stress, and chemical imbalance is a part of that process; the fire between the gas leak and smoke! Yet we hone in on the fire and blame the personality or genetics! It will be our honour to help you; Reinvent You. Every person that was pushed to great heights still has emotional drama. Am I losing my care for the emotional drama? Am I demonising emotion? Am I denying the value of what allows me to feel and experience the contrast? I believe I have been and this has been my inner propaganda. We need to maintain the courage to be vulnerable and accept that disappointments are always going to happen to all of us. The opportunity will always be there to transform many of them into deeply satisfying outcomes. George Helou on WIN a $4,400 Personal Reinvention EP7 Coaching Program with an EP7 Certified Coach! Kari-Anne on WIN a $4,400 Personal Reinvention EP7 Coaching Program with an EP7 Certified Coach! Debra Anderton on WIN a $4,400 Personal Reinvention EP7 Coaching Program with an EP7 Certified Coach!